"An interesting premise . . . For teens with a penchant for fantasy/horror mash-ups." -School Library Journal "Mortal Danger"
"Bullied and humiliated, Edie is set to exit this life when Kian, a preternaturally attractive stranger, appears with an offer that is more appealing than jumping off a bridge . . . . her inner dialogue keeps readers on track with her persisting insecurities, ensuring that readers will be fully on board as she prepares to do battle in the promised sequel." -"The Bulletin"
"This will be a popular, fun, and fast-read series that can encourage discussion about true beauty, friendship, popularity, loyalty, and choices." -"VOYA"
"Aguirre has crafted a sophisticated novel that combines science, horror, and romance amid the realities of high-school cultures. 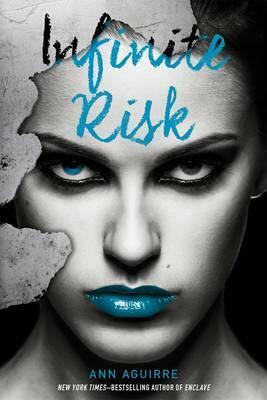 Readers will eagerly anticipate sequels to this frightening, exciting, and erudite celebration of smart teens." -"Booklist"
"An interesting premise . . . For teens with a penchant for fantasy/horror mash-ups." -"School Library Journal"